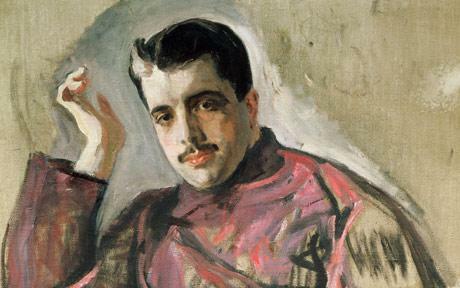 A portrait of Sergei Diaghilev by Valentin Serov, found here. Considered the founder of modern Ballet, Sergei Diaghilev was Russian and Gay. He was considered an impresario - someone whose main talent was to bring out the best in - and promote - other artists. In 1890 he settled in St. Petersburg and co-founded a cultural organization and a journal, both called Mir Iskusstva (World of Art) with the idea of creating a new movement that would combine all the arts. In 1909, he formed the Ballets Russes (Russian Ballets) and with them he toured Western Europe - revolutionizing dance staging, creating collaborative teams of artists to work on the productions, and ultimately scandalizing - and dazzling - audiences! Sergei had a number of romances with other men, including Dmitry Filosofov, whom he was with for fifteen years. They worked together on World of Art. 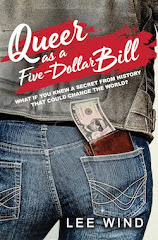 "He never worried much about what other might think: he once made a point of walking arm-in-arm down a crowded street with the then disgraced Oscar Wilde." Sergei later had a celebrated romance with Vaslav Nijinsky, the star male ballet dancer in his Ballets Russes. 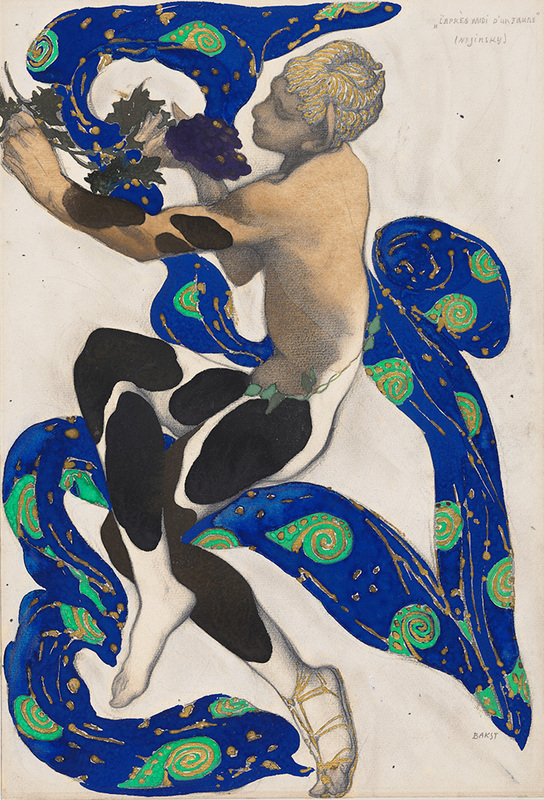 Léon Bakst, Russian, 1866–1924, Costume design for Vaslav Nijinsky as the Faun from The Afternoon of a Faun, 1912, as seen here. Vaslav was at the top of his career - he'd even started to choreograph to great acclaim and everything seemed great... until, on a trip without Sergei, Vaslav married the Hungarian countess, Romola de Pulsky in 1913. Click by tomorrow, to find out. If you can't wait, you can learn out more about Sergei Diaghilev here at biography.com. The top quote above is from pg. 183 of "Completely Queer: The Gay and Lesbian Encyclopedia" by Steve Hogan and Lee Hudson, and the bottom quote is from pg. 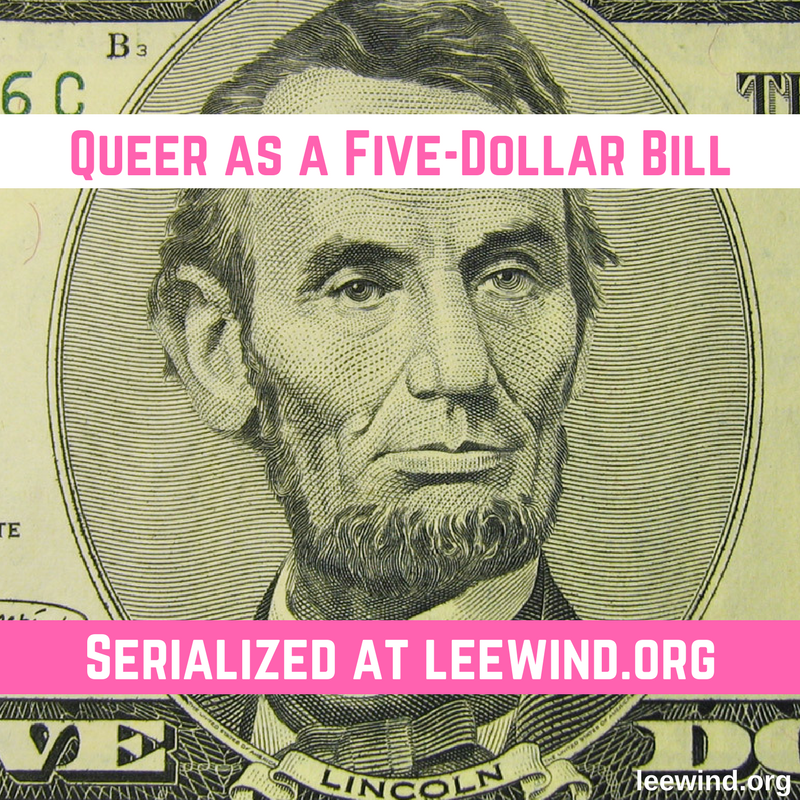 143 of "Homosexuals in History" by A.L. Rowse. Spread the word, that dance - modern dance - as it exists today, owes much to a Gay Russian man - Sergei Diaghilev.